Uses: Before and After, Changing Room, Religious Colors: Blue Lengths: 13 panel 24'-1" Heights: 6'-0"
Offer nursing mothers at your church a room to nurse and care for their children in privacy. 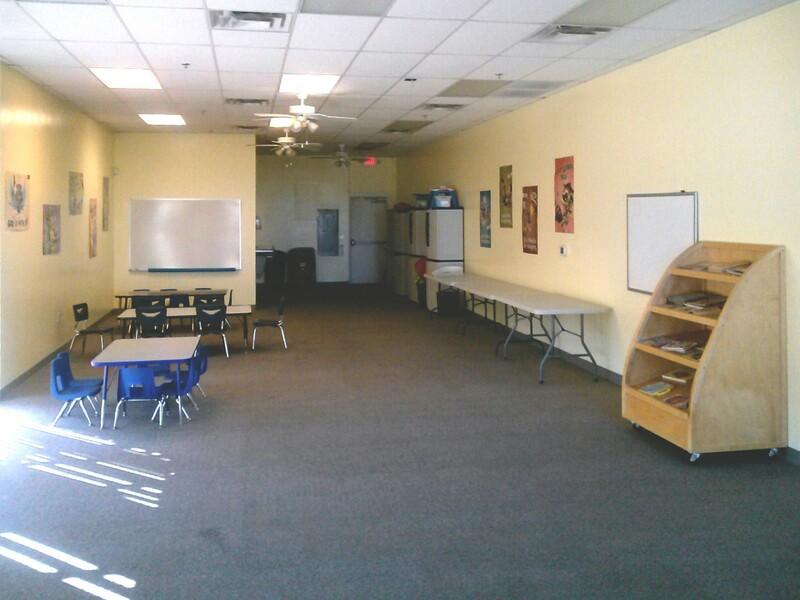 The solution to creating this space is easy and cost-effective. 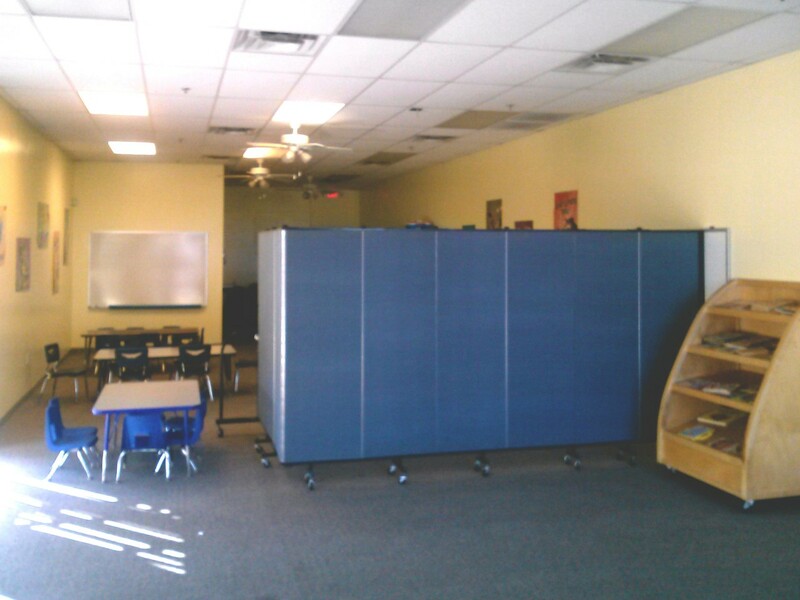 Here, the Desert Cross Lutheran Church rolled Screenflex room dividers into a Sunday School/Kitchen area to create a private room for their nursing mothers. They added a TV to telecast the church service for the mothers to watch while tending to their children. This is a simple and easy solution to any room division needs.